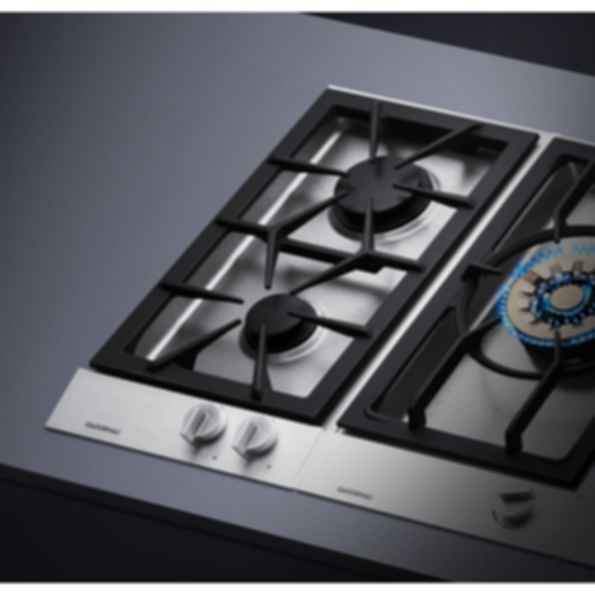 Vario gas cooktop 200 series VG 232A classic cooktop for convenient cooking. The VG 232 has two burners: a high output burner and a standard output burner each with two flame rings for different types of cookware. Precisely adjustable and reproducible flame sizes allow intensive searing as well as simmering at a low power level. Pots and pans can be moved hassle-free from one burner to another on the smooth-surface cast iron roaster support.